What? Where did March go? All of a sudden, it’s the day after Easter and I’m winding back my watch again. As I mentioned in my first All Good Things post, 2018 is shaping up to be A Year…and March has been no different. On one hand, I’ve settled into a new job and its rhythms – waking up with the birds, watching through the train window as hot air balloons hover over the inner north. I’m loving it. Even the commute. Even the early starts. On the other hand, the house I’m renting is being sold in April, so I’ve had to adjust to randomly scheduled open-for-inspections, mopping floors at weird hours…and, of course, worrying about whether or not I’ll have to move. Fingers crossed whoever buys this place wants to keep me riiiight where I am. I’m not too keen on the prospect of having to pack all my books into boxes. For anyone new here, All Good Things is a monthly post where I have a bit of a chat about some of the things I’ve enjoyed during the past month. It’s a chance for me to write a little about some of the books I’ve been reading that I haven’t had time to review in full, as well as movies I’ve enjoyed, what I’m watching on the small screen, games I’ve been playing – anything goes. It’s mainly about the things I’ve loved. Good things. Hence the name. 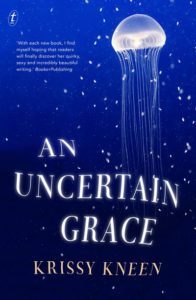 I’ve been meaning to read one of Krissy Kneen’s novels for the longest time – but last week, I picked up her sixth novel, An Uncertain Grace knowing next to nothing about it – and I’m wondering what’s taken me so long. An Uncertain Grace is told in five parts, tied together by the presence of Liv, who uses technology to tell stories. In the background of each narrative, we glimpse a world turning to water as the ocean rises, claiming front lawns and apartment blocks as its own. Nearly all sea life has died out, leaving only a particularly hardy species of jellyfish. Meanwhile, on land, some things haven’t changed. Everything is shifting, boundaries are moving, and through it all, there’s Liv, growing slowly older. An Uncertain Grace is a dark and elegiac look at a future world – it’s strange and compelling and even if I wanted to, I couldn’t look away. Strictly speaking, All Good Things is meant to be about the things I’ve really enjoyed. 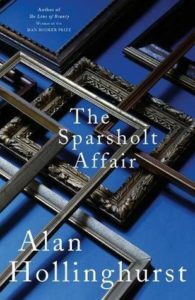 But while I wasn’t entirely convinced by Alan Hollinghurst’s latest, The Sparsholt Affair, there’s still something about this novel I can’t shake. It’s a series of episodes in the lives of two men – in the first part of the novel, we meet David Sparsholt, while the remainder of the novel centres on his son, Johnny, who bears the weight of his father’s very public disgrace on his shoulders. 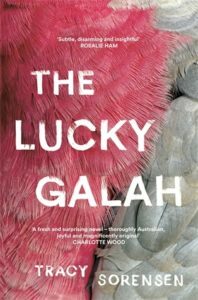 Finally, I know it was the subject of my most recent post, but I can’t stop squawking about Tracy Sorensen’s The Lucky Galah, which I reviewed for Newtown Review of Books towards the start of the month. 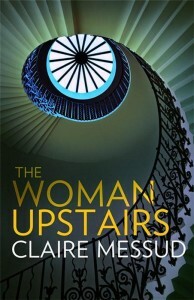 The thing is, there’s so much I couldn’t find space in my review to discuss – I wanted to write a lot more about the novel’s humour in particular. Plus, there’s a certain political figure in the novel who readers might find rather familiar. Anyway – no spoilers from me. Read the book – I can’t recommend it highly enough. I always feel a little worried when one of my favourite novels is adapted for the screen. 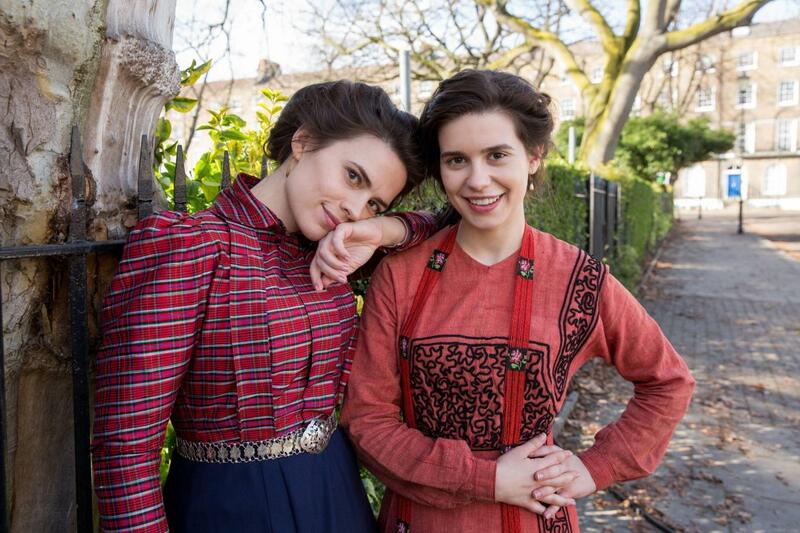 However, trepidation aside, I couldn’t resist watching the new four-part BBC adaptation of Howards End, which aired on the ABC recently. I was pleasantly surprised. Much of the dialogue was taken directly from Forster’s novel. Margaret and Helen Schlegel’s costumes were just stunning (that red beret! The incredible coat with all the buttons! The scarves!). 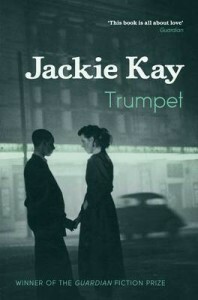 But more than that, this adaptation attempts to restore a little dignity to Leonard and Jacky Bast, as well as to the working classes, who are more visible in this adaptation than they are in the novel. While the novel begins with a letter, here we see the postman who delivers it. I enjoyed the miniseries version of Howards End, but with that in mind, I have to confess, I’ve never actually seen the 1992 Merchant Ivory version. I’ll have to try and rectify this very soon. 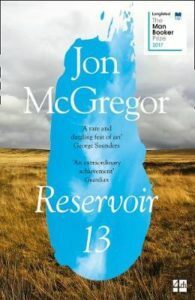 Right now, I’m in the middle of Jon McGregor’s Reservoir 13, and can’t wait to get back to it! I have The Reservoir Tapes ready to go as soon as I’ve finished. I’ll let you know what I’ve found in next month’s edition of All Good Things. More soon! He knew it now: this would be his last novel. He had threatened it before, but this time, he thought, it was true. Beyond the imaginings in India, no feature broke the horizon. He could feel that something had been used up. If he’d stuck to what was familiar and safe, a comfortable tapestry of tea parties and English scenery, he might have kept a quiet industry going, writing numerous books of a similar nature. But the world that interested his was disappearing, or already gone, buried under motor cars and machinery and the smoke of war. Writers should see ahead, not constantly be looking behind them, and his powers couldn’t keep pace with history. There would be no more books like this one. 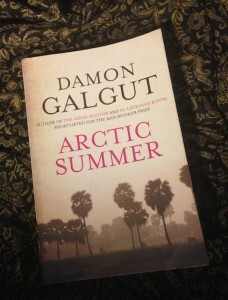 Damon Galgut’s Arctic Summer is a tantalising thing – it’s a novel about a novel; a fictionalised look at the life of EM Forster during the years he spent writing his final book, A Passage to India. 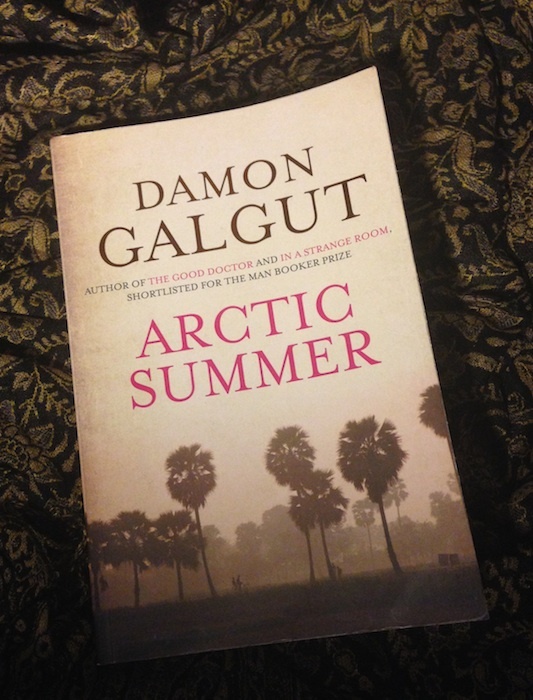 And while Galgut’s Forster in the passage above is indeed right – there’s no other book like A Passage to India – there aren’t many books around that are quite like Arctic Summer, either. I’ve reviewed Arctic Summer for Newtown Review of Books. Click here to take a look. Paul de Maria, Field of Violet Flowers. Click here to visit Paul’s website. 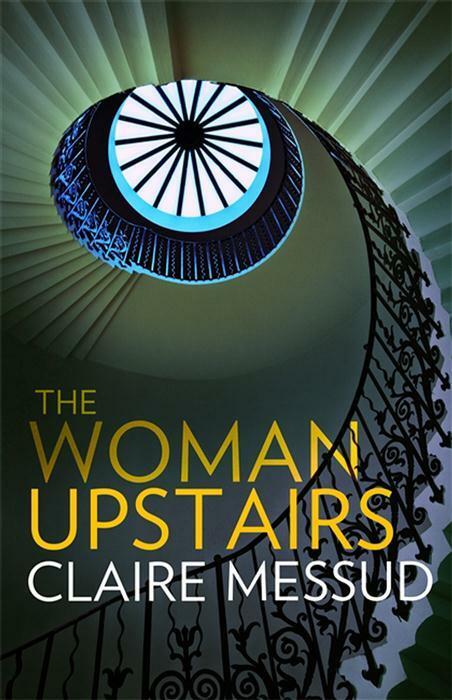 When author Annabel Smith, invited me over to her blog to write about my favourite book – or, at least, one of my favourite books – E M Forster’s A Room with a View came immediately to mind. 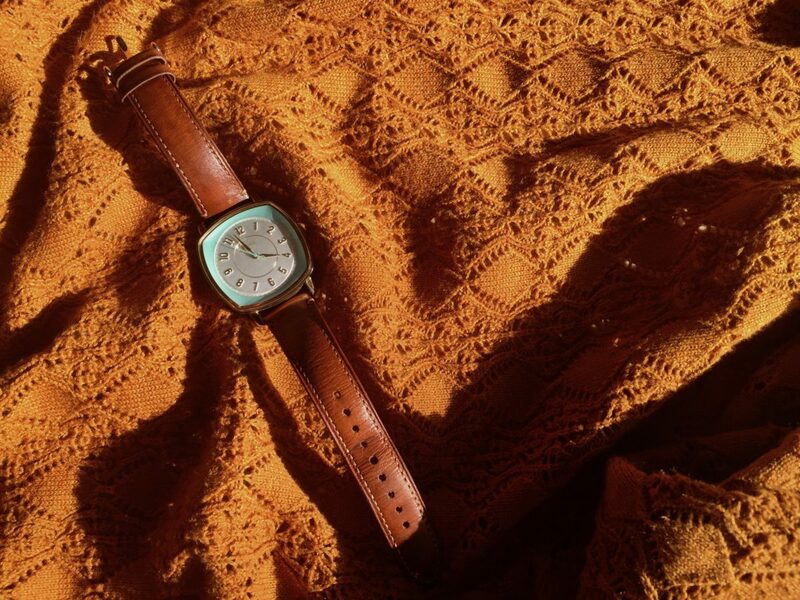 Click here to pop over to Annabel’s blog and have a read! In other news, I am finding myself falling in love with writing again. And yes, I’m currently reviewing a book published in 1960. Finally.